Have your questions answered by our many members located in Sweden! Sweden is a Nordic country on the Scandinavian Peninsula in Northern Europe which borders with Norway and Finland and is connected to Denmark by a bridge-tunnel across the Öresund. Situated in Northern Europe, Sweden lies west of the Baltic Sea and Gulf of Bothnia, providing a long coastline, and forms the eastern part of the Scandinavian Peninsula. Sweden is the third largest country in the European Union by area, with a total population of about 9.4 million. 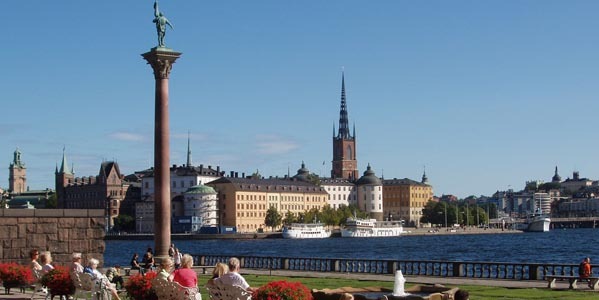 Stockholm, the capital of the country is also the largest city. In 2010, the World Economic Forum ranked Sweden as the second most competitive country in the world, after Switzerland. Sweden is an export-oriented mixed economy featuring a modern distribution system, excellent internal and external communications, and a skilled labour force. Timber, hydropower and iron ore constitute the resource base of an economy heavily oriented toward foreign trade. Sweden's engineering sector accounts for 50% of output and exports. Telecommunications, the automotive industry and the pharmaceutical industries are also of great importance. The World Economic Forum 2009–2010 competitiveness index ranks Sweden the 4th most competitive economy in the world. Sweden maintains its own currency, the Swedish krona (SEK), a result of the Swedes having rejected the euro in a referendum. The weather in Sweden varies dramatically depending on the time of year. The winter months bring icy cold temperatures to below zero, often with heavy snowfalls allowing for ski resorts to become a popular tourist destination. Many foreigners find it difficult to adapt to the dark days with only a few hours of sunlight in the day. On the other hand, Sweden’s summertime is much more liveable with a pleasant climate and temperatures reaching up to the mid 20’s. The official language of Sweden is Swedish, a North Germanic language, related and very similar to Danish and Norwegian, but differing in pronunciation. Norwegians have little difficulty understanding Swedish, and Danes can also understand it, with slightly more difficulty than the Norwegians. However, for expats looking to move to Sweden, don’t worry about the language barrier. An extremely high percentage of Scandinavians can speak perfect English. English is taught in School as a compulsory language from an early age. Movies, television programs and music are all exposed through English. We have thousands of local members waiting to answer your questions on living and working in Sweden. Join Worky or Login to Join the Discussion.